With The Beatles . . . | A balanced diet . . .
With The Beatles . . .
Last weekend, Steph and I spent a couple of days in Liverpool where, in the 1960s, there was an explosion of musical talent—the ‘Mersey Sound‘ (a somewhat patronizing video)—that had been influenced by and built on the late 1950s skiffle music of Lonnie Donegan, among others. The greatest among greats to emerge from the ‘Mersey Sound’ have to be The Beatles – Paul McCartney, George Harrison, Ringo Starr, and John Lennon. It was my 70th birthday on the 18th and, in celebration, we planned this special trip to Liverpool to take in The Beatles’ Childhood Homes and The Beatles Story, among other sights. A full album of photos can be viewed here. We originally intended to drive to Liverpool. Not difficult in itself, you might imagine: a mere 109 miles. But as most of that journey is along the notorious M6 motorway, potentially it would have been 109 miles of traffic hassle, and long stretches of roadworks. And although the weather has been quite mild recently, November can be foggy and frosty. These were the points we considered when finalizing our travel plans in late August. So we opted to travel by rail from Bromsgrove to Liverpool-Lime Street (via Birmingham New Street). As it turned out, we had a weekend of the most wonderful weather—clear skies, bright and sunny. No rain whatsoever. 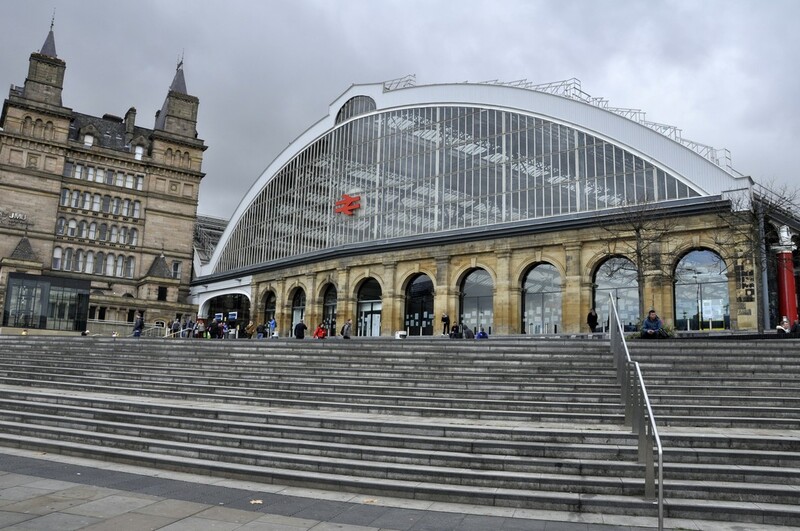 Although our train from Birmingham departed about 20 minutes late, we still arrived to Lime Street before 13:00, and after a 20 minute walk to the hotel, we were out and about exploring well before 14:00. Our hotel was the 4-star Jurys Inn, located right on the Liverpool Waterfront, just across the road from the Royal Albert Dock, home to The Beatles Story. It was also starting point for the National Trust tour of The Beatles’ Childhood Homes. 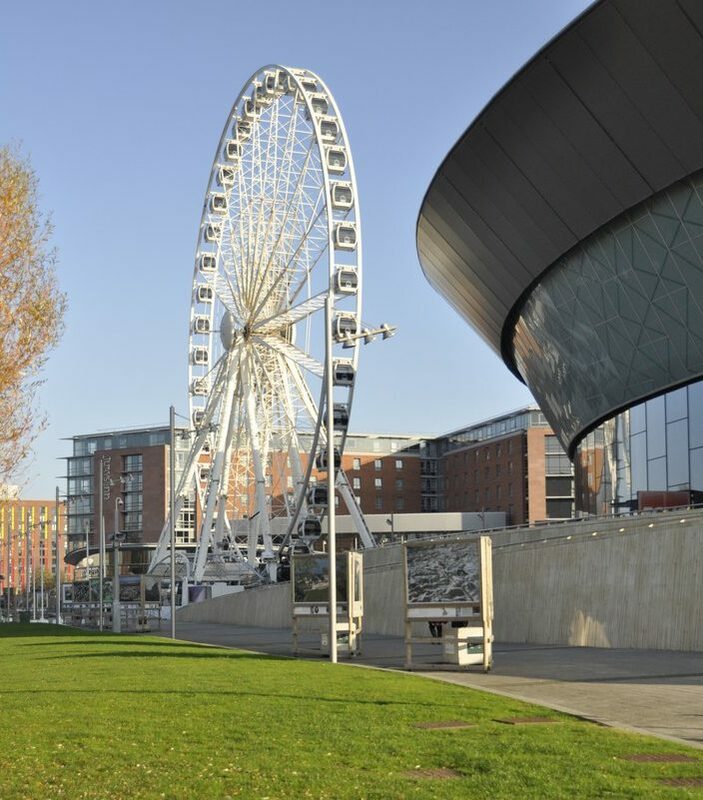 Right beside the hotel are the 60 m (196 ft) Wheel of Liverpool, the Echo Arena, and convention centre. We used Emirates Airlines airmiles (Rocketmiles) that were about to expire and a small cash supplement to pay for the hotel. To begin with, let me take you back to late June 1967. Just a month earlier, The Beatles had released their eighth and iconic Sgt. Pepper’s Lonely Hearts Club Band album. Little did I realize then that I’d be regularly visiting the home of The Beatles in the coming weeks. Having just left school, I was waiting for my exam results and hoping I’d done well enough to secure a coveted place to study botany and geography, from October, at The University of Southampton. As I couldn’t spend the summer kicking my heels around my parent’s home, I found a temporary job for the next couple of months working for a local Leek company, Adams Butter (which I’ve written about elsewhere), as driver’s mate on the company’s fleet of trucks. Adams Butter took raw, unsalted butter (mostly from Australia and New Zealand), blended and packed it into household packs, and distributed it to supermarkets and other retail outlets all over the country. Having emptied a truck of 25 tons of butter (in 26lb boxes), we’d head off to the nearest port to load up with another 25 tons of frozen butter, in 56lb boxes, to transport back to the dairy in Leek. That first week saw me in Liverpool twice, and over eight or nine weeks or so, I must have gone back there a dozen times or more. But I haven’t been back there since, apart from a half-day visit around 2000, when I was invited to give a seminar at The University of Liverpool. Until last weekend, that is. Fifty years on and Liverpool is a transformed city. Gone is the frenetic activity of the docks; there were no containers then. Once the River Mersey and port were bustling with ships from all over the world; a huge labor force of dockers manhandled produce off the ships. By the 1980s many of the docks along the Liverpool Waterfront were closed, and warehouses were derelict. Now the Waterfront is a World Heritage Site, a place for everyone to enjoy. 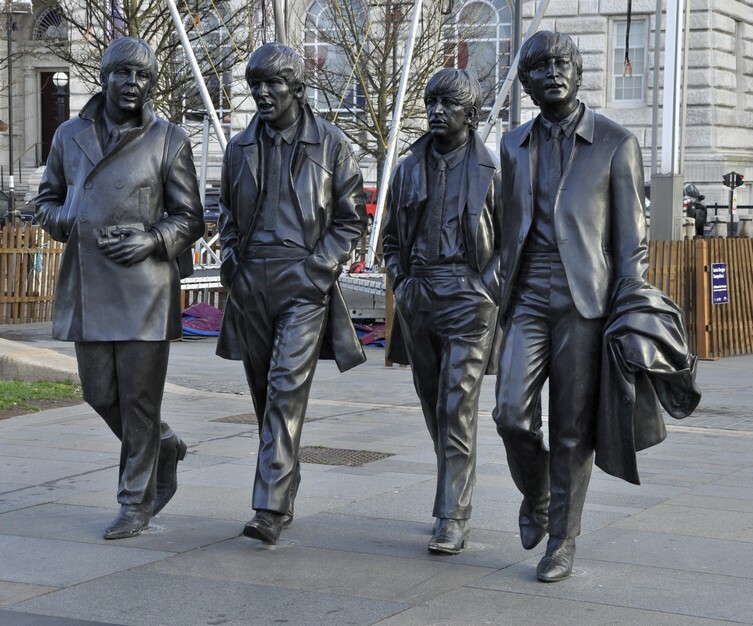 And also home to The Beatles Story, Tate Liverpool, the Museum of Liverpool, shops, cafes, and restaurants. During our visit, there were funfair rides set up along the Waterfront, as well as an ice rink, and some sections of the German market, all part of Liverpool’s run up to Christmas. Our tour of the Beatles’ Childhood Homes started at 10:00 when the National Trust driver, Joe, met us in the lobby of Jurys Inn. We were an international party of just 13 persons (5 UK, 1 Irish, I Czech, I French, 1 Maltese, 1 Australian, and 3 Malaysian). 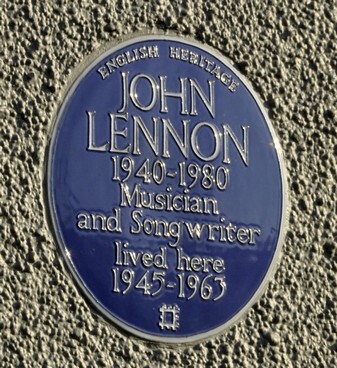 The drive to the first property, John Lennon’s home, took just over 15 minutes. Once we were all strapped in and ready for the off, Joe turned on the music: Love Me Do, and it was Beatles songs all throughout the tour. What a way to start! And, as it turned out, three quite emotional hours. ‘Mendips’. 251 Menlove Avenue, Woolton (a desirable suburb of Liverpool) is a 1930s semi-detached house (that has retained many of its original design features). John was born in October 1940. When his mother Julia separated from father Alfred in 1945, John went to live with Julia’s oldest sister Mimi and her husband George at ‘Mendips’. It was felt that a two-room flat in a rough part of the city near the cathedral was not a suitable place to raise a young boy. It seems that John had limited contact with Julia as he was growing up. But by the time he was 17 (in 1958), he had begun to see her more regularly. Tragically, however, she was hit by a car on Menlove Avenue, and died from her injuries. She was just 44. I have no photographs inside the house. As with the McCartney home, visitors’ cameras and mobile phones are locked away for the duration of their visit. It’s both for security and copyright reasons. It was a powerful and emotional experience walking round John’s childhood home. I could feel a tear or two welling up every now and then. There were his school reports and lots of photos; also his bedroom where he wrote some of his early songs. And the porch where he and Paul tried out some of their songs. The National Trust guide encouraged us to go into the porch to test the acoustics. I didn’t sing but just clapped my hands; the acoustics were excellent. Apparently Paul has said he’d like to record some songs there. John bought a bungalow for Aunt Mimi in Sandbanks in Dorset. ‘Mendips’ was never modernized after Aunt Mimi moved out. When the house came on the market in 2002, it was purchased by Yoko Ono and donated to the National Trust. The letter that Yoko Ono wrote to the National Trust explaining why she had bought the house is framed and lies on John’s bed. On another level it was emotional for Steph in particular. So much of the layout and features of ‘Mendips’ reminded her of 30 Hillway, her parents’ home in Westcliff-on-Sea, Essex. That was a 1930s detached house. We came away from ‘Mendips’ after an hour, to head to the McCartney home at 20 Forthlin Road, Allerton, just over a mile west from John’s house. John would visit Paul on his bicycle, cutting across the Allerton Manor Golf Club. 20 Forthlin Road is a terraced, former council house, to which the McCartney family, dad Jim, mother Mary, Paul, and younger brother Mike (Mike McGear) moved in 1956, from their home in the Speke. Forthlin Road was a step up. Initially Paul and Mike shared a bedroom, but Paul eventually moved into a small front bedroom on his own. He continued to live there until 1963, after the other Beatles had already moved to London, and the band were already becoming a phenomenon. Sitting in the front parlor, our guide Sylvia told us about how the McCartney family would make music together around the piano (I’m not sure if the piano there today is the original, but I think so; I tinkled the ivories), and singing in harmony. So when The Beatles started recording, singing in harmony with John was second nature to Paul (just watch the We Can Work It Out video at the end of this post). Paul originally played the trumpet, but dropped it to learn the guitar – which he had to modify and re-string because he is left-handed. Paul’s mother Mary passed away from cancer in 1956, aged 47. Paul wrote Let It Be as a tribute to his mother. Dad Jim raised the boys with the help of relatives including Uncle Albert (remembered on Paul and Linda McCartney’s album Ram, released in 1971). Paul bought his father a house across the Mersey on the Wirral to which he retired; Paul still owns the house and uses it when visiting Liverpool. Around No 20 there are many original and iconic photos of Paul and John writing and singing their songs in the same front parlor where we were sitting, taken by Paul’s brother Mike (who has the copyright, this being the reason why photography is not permitted inside). Then after an hour there, we traveled back to Jurys Inn, to the accompaniment of more Beatles songs. What a marvellous way to spend the morning of my 70th birthday! After a reviving cup of tea back at the hotel, we crossed the road to visit The Beatles Story exhibition. The story of The Beatles is told there through displays of memorabilia and photographs; it opened in May 1990. From an early date until sometime in the past year, one particular display near the entrance explained the influence of the 1950s skiffle movement on The Beatles’ early musical careers. John Lennon played in a skiffle group called The Quarrymen which Paul McCartney and George Harrison later joined. The display in question showed two boys, my elder brother Ed and me, playing guitar and tea-chest bass, entertaining our mother and two friends, Geoff and Susan Sharratt. That display has now been taken down, so I never got to see myself in The Beatles Story. But here’s my great-nephew Sammy standing in front of the display a year or so back. 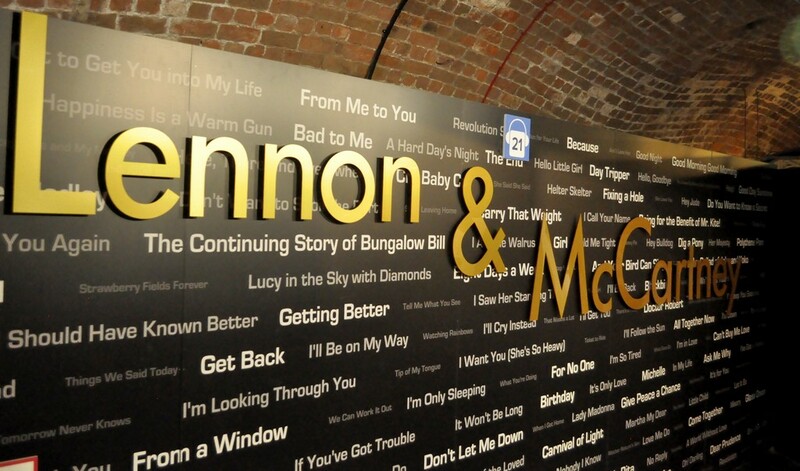 The exhibition takes you through the band’s time in Hamburg at the turn of the sixties, their ‘residence’ at The Cavern, and onwards through their worldwide success. There are so many iconic things to see and read about. It’s quite overwhelming. Here’s just a small selection; you can also see many more photos in the album I mentioned earlier. We returned home to Bromsgrove just after noon on Monday. 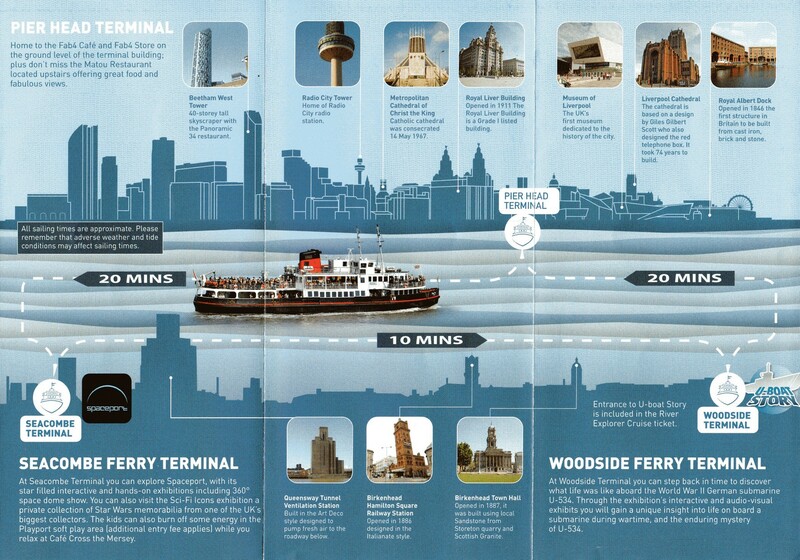 But before that, we took a 50 minute river cruise on the Mersey ferry, Royal Iris, from the Pier Head Terminal, across to the Seacombe Terminal on the Wirral, and then to Woodside Terminal at Birkenhead, before returning to the Pier Head. Here’s a short video I made, with Gerry & The Pacemakers (courtesy of a YouTube video) providing the appropriate soundtrack. It was a relaxing way to enjoy the Liverpool skyline. And the weather still kept fine for us even though the cloud built up later, and there was some rain before we departed from Liverpool. Then it was a brisk walk back to Lime Street in time to catch our train just after 12:30. We arrived home, on time, just after 15:30, and there was a very nice surprise waiting. My bank had sent me a bottle of Moët & Chandon Impérial Brut champagne for my 70th! What a treat to end a great weekend. I can’t stop singing all those Beatles songs. But there is a postscript to this Beatles adventure . 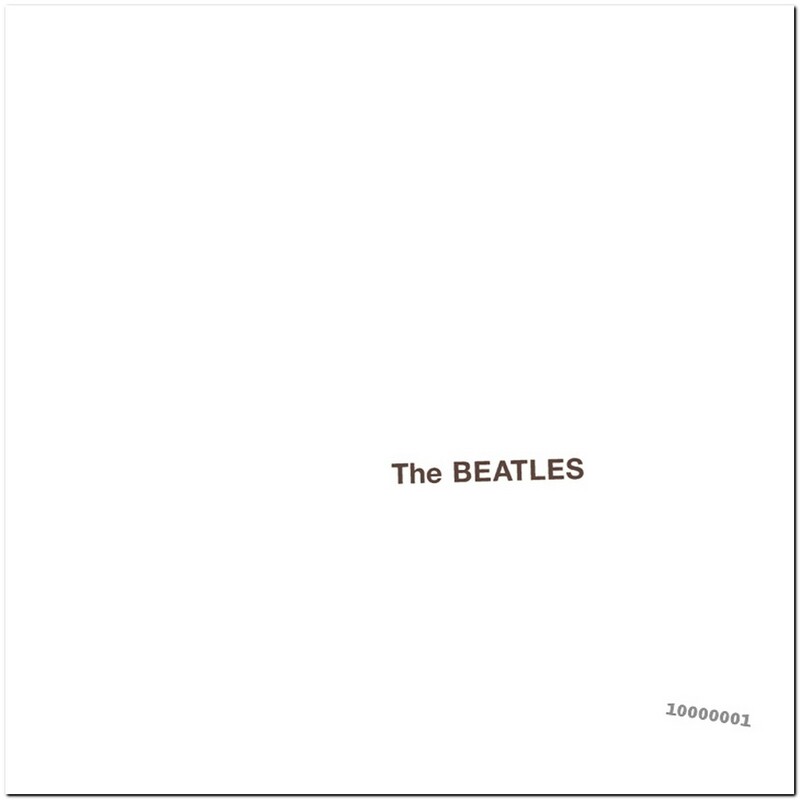 . .
Fifty years ago today, 22 November, The Beatles released their ninth studio album, The Beatles, also known as the White Album. Many of the songs that appeared on this album (and some on Abbey Road in 1969) were penned while The Beatles were experimenting with transcendental meditation under the Maharishi Mahesh Yogi at his ashram in Rishikesh, India. In 1968 (just a couple of months into my second year at the University of Southampton), I celebrated my 20th birthday by purchasing a copy of the White Album, which I had pre-ordered some weeks earlier. I believe I was the first person in our student residence, South Stoneham House, to have a copy. Word soon got around and it wasn’t long before my room on the 13th floor became the focus of White Album sessions. This is how the album was reviewed in 1968; here is a current reappraisal. A re-mastered version of the album was released just over a week ago. You can hear more about Giles Martin’s work on the album here. What’s your favorite track? There are so many to choose from. But if I had to name just one, it has to be George Harrison’s While My Guitar Gently Weeps, on which Eric Clapton was invited by George to play a solo. Anyway, enjoy this ethereal version that was released on Love – a 2006 remix album (by George Martin and son Giles) that accompanied a Cirque du Soleil show of the same name. In the ultimate tribute to George Harrison, here is a multi-talented band, led by two of Harrison’s Traveling Wilburys band mates, Jeff Lynne and the late Tom Petty (and including Harrison’s son Dhani), interpreting this song; there’s a superb guitar solo from Prince. The first Beatles vinyl I bought was Rubber Soul, released in December 1965. I remember that quite distinctly, because I held a small Christmas party for school friends in Leek, and Rubber Soul was the soul of that party. I never owned the early albums. I didn’t really like their music until A Hard Day’s Night was released in 1964. After Rubber Soul, I acquired all the other albums on vinyl, but these were lost in a burglary in 1978 when we lived in Turrialba, Costa Rica. I replaced them on CD in the 1990s. Compared to modern bands, look at how prolific The Beatles were, given the short periods between release dates of their albums. These are the albums I currently have. And I also have these two compilations: Past Masters Vol. 2 and Love that I have already referred earlier. No-one can deny the genius that is Sgt. Pepper’s Lonely Hearts Club Band. But if I had to choose just one album, I think it would be Revolver. And an overall favorite Beatles track? Probably We Can Work It Out (although I don’t like the ending particularly) that was released on a double A-side single (with Day Tripper) in December 1965 (and features on Past Masters Volume 2). This entry was posted in Musings from the past, Out and about, People, Travel and tagged Liverpool, Liverpool Watefront, National Trust, The Beatles, The Beatles Story, The Beatles' Childhood Homes, White Album. Mike, enjoyed reading this blog. Brought me down memory lanes of all my fav songs of the Beatles. I have all of the songs on my cell phone and listen to them once in a while. I was lucky enough to watch the Love show by Cirque du Soleil while I was in Las Vegas on Oct 30, 2016, a birthday treat by my brother who lives in the US, a fantastic 1-1/2 hour show I enjoyed much in the company of Mau Lago, an IRRI friend who now resides in Vegas. Thx for sharing this.